Detroit-based Jeremy Ellis moved to Puerto Rico to create an album marrying traditional Bomba and Plena rhythms with Detroit-schooled dance music. After three months, the keyboard maestro and golden-toned vocalist discovered that the living in Puerto Rico ain’t so easy. On his way home he lost two computers, all of his recordings, half of his recording advance, and his passport (and possibly part of his mind). Fortunately, Ellis returned in one piece with the musical knowledge and resolve to create The Lotus Blooms, an album of insatiable future funk grounded in Detroit and peppered with a Puerto-Rican persuasion. From his retake on the traditional Puerto Rican song? Cortano A Elena? to the broken beat driven song?These Passing Days? the Puerto Rican influences vary in strength. Heavy Latin vibes can be found in?Bombakiss? and the montuno of the opening track? Take Your Time? (check also the harder remixed version which can be found as bonus cut #17). There is also plenty of room for more Detroit-styled outings. His near 10 minute epic? Callelunakarma? jumps from hip hop to broken to house to future jazz fusion and back to hip hop again while the track which gave birth to the album title? Lotusblooms? blurs the line between boogie-tune, house and broken beat. At one point I felt like I was being arrogant to try and learn everything about Puerto Rican music in just 2-3 months. But once I was back in Detroit the sound just naturally occurred, the influences and everything I´d learned came back to me,? explains Ellis. The most striking event was the San Sebastian Street festival. I´ll never forget feeling the energy of thousands of people dancing together and seeing bomba groups making music as a direct interchange between dancer and musician, he adds. Ellis? one-man show capabilities are not limited to the studio – on-stage he has developed a unique, energetic, and infectious solo show that is the opposite of the one-man laptop bore. Energetically working every piece of machinery on stage, he seamlessly creates a live show by engineering tracks from scratch, mixing them into new songs, and remixing his and other peoples tunes. 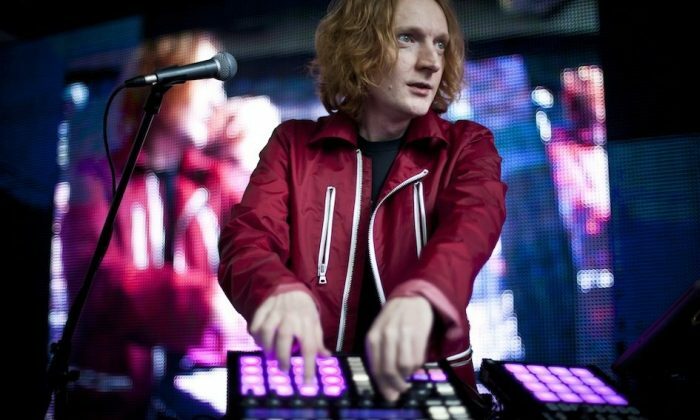 He has coined the term freestyle or freestyle electronic to describe this improvised clash of playing, programming, and singing. It was a natural evolution for me as Im not a DJ and I wanted to make the next big step to make really live electronic music. Its difficult to cram so much music in and to sound fluid like a DJ set would, but that?s what the challenge of freestyle is about, explains Ellis. Previously I would create rough ideas in the week or two before the gig and explore them live on the night. From the Omoa Records Christmas Party that I had to perform at in 2002 onwards, I´ve done it all freestyle – I´ve improved and tweeked the set so that I can flow freely from track to track and really make it live. To do this I?ve moved drum sounds into easier places to play off the MPC, and then I?ve organized keyboard sounds so I can access stuff off of my Waldorf microQ,? he explains. ?I?ve realized that the process needs to be as fluid and intuitive as possible because that is what allows me to interact with the gear and also the audience, he adds. Ellis? reputation as an amazing live performer coupled with the music released to date convinced Ubiquity Records to sign him for a new album to be released in late February 2005. His early 12´ releases also caught the ears of other labels and producers leading to remix work for Jazzanova, Fertile Ground, John Beltran, John Arnold, and others. 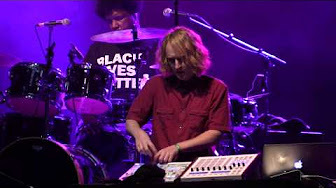 His Jazzanova mix pushed the limits when Ellis wrote and performed new lyrics to the existing track adding his gritty Detroit remix flavor. Rather than wallow in the obscurity that cloaks many Detroit producers, Ellis has stepped out with ?The Lotus Blooms.? It?s a focused album backed with a kicking live show and a label anxious to spread the word. As a student of jazz and classical piano and percussion Ellis cut his teeth in the Detroit music scene performing with Jazzhead, the jazz-fusion group that also featured Ubiquity label mate John Arnold. He has played worldwide as a member of Time:Space, and over the years has worked with Detroit producers John Beltran, Carl Craig, Recloose, and Alton Miller. Artists as varied as Bach and Chopin, Stevie Wonder and Herbie Hancock, the Beatles and U2, are his main influences. He?s an extremely curious musician always delving into new styles and picking up new tricks as he goes. The list of Jeremy Ellis live performances includes show at the Detroit Electronic Music festival in 2001 and 2003, playing with Jazzanova and Koop, headlining with Kyoto Jazz Massive in Tokyo, rocking all-night block parties on the streets of Puerto Rico and kicking off the Ubiquity/Puma SoundClash series in San Francisco.